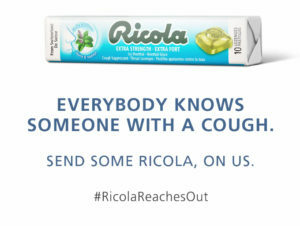 Send Ricola a message on Facebook and they will send your friend a free pack of Ricola Extra Strength Cough Suppressants! Click the ‘Send Message’ button on their Facebook post and Ricola will reply back to your message asking for your friends Instagram handle. If they don’t have one, Ricola will send you a sample to give to them in person. Sign up for MyACUVUE Rewards – Save up to $200 per year! TheBay.com – Free Shipping Friday!